The scout is a swift explorer moving unseen through hostile territory observing, probing, and gathering information about the terrain, threats, fortifications, and the movements of enemy forces. Many scouts employ skirmishing tactics to harry and wear down small enemy forces. 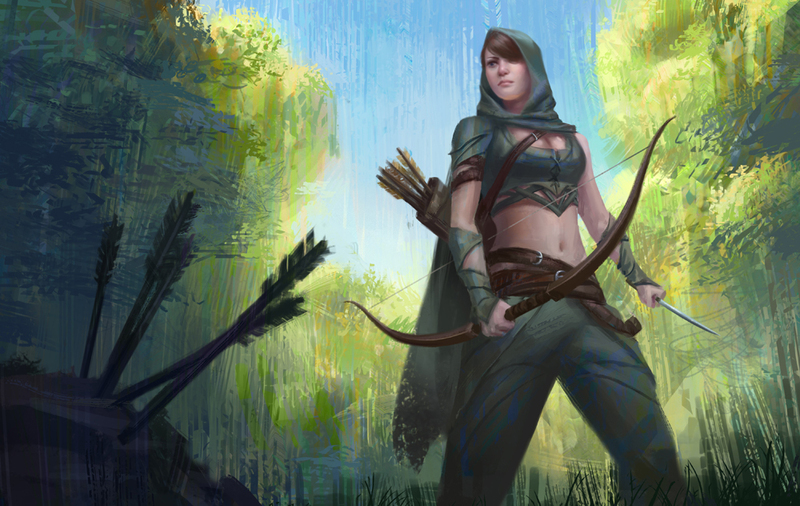 Add Scout, as described below, to the list of Roguish Archetypes you may choose at 3rd level. swimming doesn't halve your speed. When traveling at a fast pace you do not have disadvantage to Wisdom (Perception) checks. When traveling at normal pace you may choose to move stealthily. What were two of the types of creatures that passed through here (and what were their races)? What was the number of creatures that passed through here? What were the lowest and the highest exhaustion levels of all creatures that passed through here? What was the heaviest armor type worn by creatures that passed through here? In what directions did creatures travel after passing through here? After using this ability you cannot use it again until you complete a short or long rest. Starting at 9th level, your speed is increased by 10 feet when you aren't wearing heavy armor. In addition, you may move through a space occupied by a hostile creature of any size while you aren't wearing medium or heavy armor and are not wearing a shield. Starting at 13th level when you roll initiative and are surprised you may use this ability: you are not surprised. Once you use this ability you may not use it again until you complete a short or long rest. At 17th level you have honed your skills of observation so sharply that you can read the terrain and form a rough map of its features in your mind. While aboveground, outdoors, and not in heavily obscured (or worse) conditions you may spend 1 minute observing the surrounding area in undisturbed silence. You gain a mental map of all aboveground pathways and water features within 1 mile that are not concealed. The DM may also apply your passive Wisdom (Perception) as a check to discover hidden ways and secret doors within the same area as if you were standing near the hidden feature. Once you use this ability you cannot use it again until you complete a long rest.